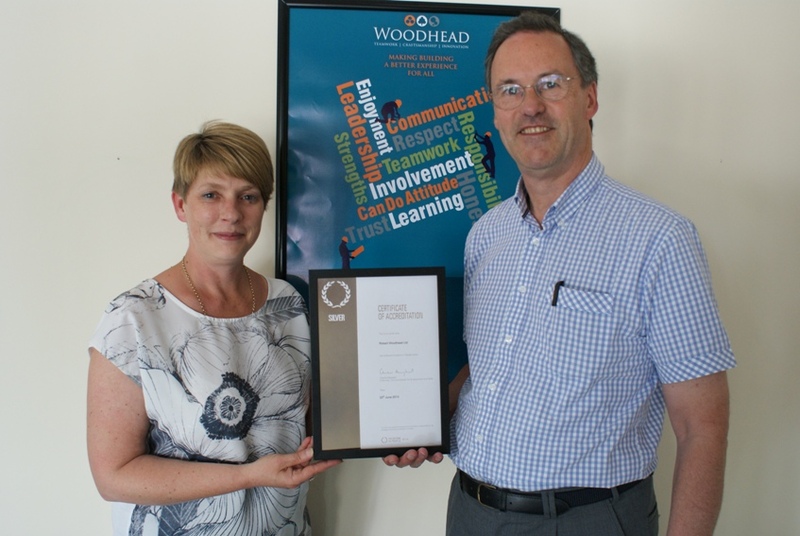 Robert Woodhead Ltd has been awarded Investors in People Silver recognition. The construction company based in Bilsthorpe, Nottinghamshire is one of only 12 companies in the East Midlands to have obtained the silver standard. The achievement of the Award was announced to company personnel at a specially arranged staff conference held on Wednesday 3 July at Edwinstowe House, Edwinstowe in Nottinghamshire. During the conference, the appointment of two new directors was also announced. Internal promotions saw Craig Pygall become Construction Director and Steve Gribby’s appointment as Repairs and Maintenance Director. The internal promotions illustrate just how committed the company is to staff development. Craig Pygall, who has been with the company since December 2007, has been promoted from Contracts Manager & Team Leader of Woodhead Living (Robert Woodhead Ltd’s specialist residential and sustainable projects team) to Construction Director. Steve Gribby, who joined Robert Woodhead eight years ago as a Site Manager before being promoted to lead their Public Sector Minor Works & Maintenance team, has been promoted to Repairs and Maintenance Director, with strategic responsibility for Woodhead One, the company’s building repairs and maintenance service provider, which has seen turnover double in the last 12 months.